"There are all kinds of mix tapes. There is always a reason to make one." You can drape a girl in diamonds; ply her with chocolate; and shower her with dozens of red roses. Truth be told, you can do it all; but deep down, even if she never admits it to herself, the most sentimental way to win her heart is via a mix tape. Darlings, it pains me to think that you may be completely out of touch with this type of reality, so I’ll simply spell it out for you…the mix tape is the piece de resistance of presents. As Victor Hugo once said, "Music expresses that which cannot be put into words and cannot remain silent." It is a scapegoat of sorts for allowing one to divulge their deepest feelings for another; to give an individual the chance to lay their heart on the line in a fashion unencumbered with stuttering or nervousness – just pure words flowing languidly from the stereo. "When you stick a song on a tape, you set it free." But I digress; one must be mindful of the fact that a mix tape is not merely a quick fix for the person who forgot to buy a friend or significant other a gift, nor is it a goodie given in place of something store bought. A mix tape is a small piece of someone’s heart. 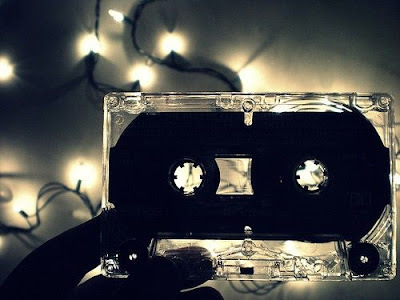 Whether created by a nostalgic sorority girl for her BFF; or a cute hipster boy wanting to leave a lasting impression on the girl he is currently wooing, a mix tape says it all. Hence the reason why creating one is oftentimes a difficult task. Making the perfect mix is an art, a skill learned over years of practice. It is not something that can be put together overnight. It involves countless hours of planning, researching, and recounting magic moments that took place between you and the person in question. The nights spent falling asleep under the stars; the long periods of comfortable silences; the impromptu adventures. To put it bluntly, it is a soulful, symphonic scrapbook bringing good and bad times from mere minutes ago to years past to light. This Valentine’s Day, forgo the chalky candy hearts, the flowers that will wilt away in a few days time, and the stuffed animals that will ultimately be re-gifted sometime down the road; and instead impress with a mix tape that will be cherished forever. Don’t worry dolls, I’ll help you along! "It’s always that one song that gets to you. You can hide, but the song comes to find you." 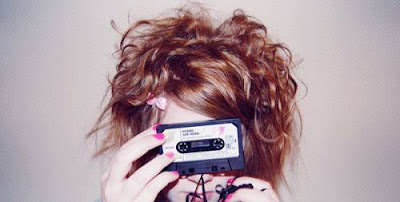 ♥New Wave In the age of technology, it is shocking to see a CD anymore, let alone a tape. Nevertheless, sending digital downloads of songs is a surefire way to ruin the effect of the mix tape (unless, of course, you are using Fred Flare's Mix Tape USB Flash Drive). If you want to stay true to the roots of the mix, and you’re armed with the equipment required to work with a cassette, I suggest taking the time to put a tape together. If, however, you feel more comfortable working with a CD, go for it. A bit of the vintage vibe proffered by a genuine cassette is lost in translation; but it’s the music that counts. ♥Time After Time The length of time that a mix tape runs varies for the creator, yet almost always sticks to the 30-minute interval rule, starting at 60-minutes and going through 120-minutes. In general, 90-minutes seems to be the favored mix tape length. It’s long enough to get your point across, without droning on with unnecessary inclusions. ♥Theme Team It is impossible to so much as begin putting a mix tape together until you have decided upon the theme you are aiming for. Is it being created with a potential love interest in mind? Are you putting it together to commemorate a childhood friendship? Will it be given to someone attempting to heal a broken heart? Before you begin, it is essential that you have the answer to this question. Once the theme has been decided upon, you can move onto the hard part…creating a title! ♥The Name Game I realize that you are devoting your time to selecting songs for your compilation, but an amazing title is a complete necessity for the perfect mix tape. Something labeled "Sappy" or "Love" is uninspired and makes the receiver feel as if very little thought has been put into the creation of this gem. Don’t allow your hard work to be overlooked due to a bad title! Wrack your brain for memorable experiences or covert inside jokes the two of you have shared – the best titles stem from these very places! 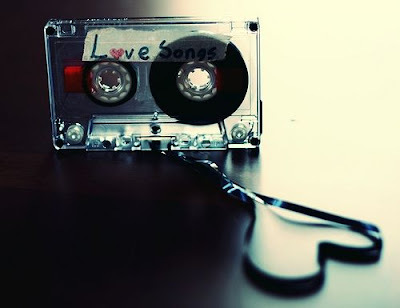 ♥List Love Kittens I truly hope that you are like me in the sense that you adore making lists, because you will be creating quite a few of them on your quest to perfecting your mix tape. Track listing is a crucial part of the mix. It involves choosing an assortment of songs, then weeding out the ones that fit the theme you are going for, and ending with deciding which tracks are the most compatible with one another. This step alone often involves numerous trials to ensure that you choose the best songs, but it is well worth it! ♥Number One I cannot stress the importance of the first song on your mix. The first song sets the tone for the complete tape, and makes the listener decide whether or not it’s even worth listening to in its entirety. For this reason alone, never underestimate the power of the opening track. It is essential that you steer clear of songs that are too predictable, as it immediately enshrouds the entire tape in a cloak of boringness. At the same time, going the clichéd route makes one contemplate the seriousness of the mix. You want something that is faint yet fascinating; a song that will catch the listener’s ear and draw them in - therefore, choose wisely. "I realize that I will never fully understand the millions of bizarre ways that music brings people together." ♥Metamorphosis Too many get caught up in wanting miscellany within their mix which oftentimes results in disaster. As William Cowper said, "Variety is the very spice of life," but if it doesn’t fit or flow correctly, it can be the ruination of your tape. Transitions between songs must be subtle. Moving from light indie to pop rock needs to be done gradually, allowing the tempo to rise slowly with each song to keep the tape from becoming detached. Leaping from genre to genre within your mix must be avoided at all costs; the songs must have a link to one another that makes everything flow perfectly, and creates a harmonious collection – otherwise the entire tape fails. Happy, Happy Valentine’s Day, my loves! ♥Note: I originally wrote this post for one of my favorite blogs, Fashion Court, on February 1, 2010; but I loved writing it so much, that I thought I would share it with all of you here, just in case you missed it! couldn't agree more.. music is the best there is.. heals the soul, makes you dance, makes you remember things from the past.. as Nietzche said.. "a life without music would be a mistake". I would just melt if somebody were thoughtful enough to make me a mix tape! This is an awesome idea. This post is awesome. Such a flashback, too! I have a friend I always make mix tapes for. it is kind of fun picking out songs she might like and then being pleasantly surprised that she adored the few random songs I stuck on there just for kicks. Awesome post, Erika! I actually love to make playlists and mixtapes for myself. It is lots of fun, and I actually feel really creative. Amazing post - mix tapes mean so much more than lavish gifts because real thought and effort goes into them - i should know, i stress for hours about the order and everything! I have to agree with all of your instructions and tips here. When I make a mix CD for a friend, I follow almost all of these to the T. This has to be my favorite thing to do, make mixed tapes and cds. Thanks for posting this! Oh I'd have to agree. A mix tape just says it all. Love this post so needed to be brought back to my mix tape era...and thanks for the song recs! A mixed tape is a really sweet idea for a V-day present! This is SUCH a sweet idea! I've always preferred hand made gifts over icky candy and cliche roses. Maybe I'll just leave my laptop open to this post so my boyfriend sees it haha! I wish I had a tape player :( I remember back in the day when I would sit next to my boombox hoping the radio would play my favorite songs so I could record them! Hehe. Lovely post. My college boyfriend made me a mix tape. Nicest thing he ever did. Other than that, he sucked! Oh, you're so right Erika - a mix tape is such a thoughtful gift! I used to make them all the time for my high school crushes... although they'd never actually see the light of day, I was way too embarrassed! I might make one for the Mr.
Hope you had a beautiful weekend!! Aw! Love this post! Happy V-day! I haven't made a mixed tape for a while now but I remember how long they take to make, but the outcome is so worth it! I actually have a few left but the only place I have to listen to them is in the car. aw, I love this. i have never been given a mix tape before ): some mix cd's but more for the purpose of sharing music. i totally agree with you - the best way to communicate is through music, and a good mix tape is, and will always be the perfect gift. I do love a good mix tape - especially with real tapes! I love this post, Erika! Let's hope they keep producing tapes & CD's if only to make mixtapes! Aside from sentimentality, I'm wundering what is the best way to a woman's heart?! I love making mixed cds, they take forever, but once I perfect them I can listen to them over and over again. love this post doll. SO thoughtful. This is SUCH a perfect Vday present!!! (or actually a present period the end). And such perfect, perfect tips. I'd have to stick with a CD though, as I am far too challenged to work with an actual tape! 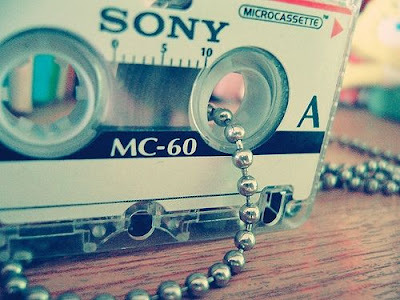 And remember when compiling those mix tapes ... Music never goes out of style! mix tapes (to this day) make the most wonderful gifts. happy early valentine's day to you! This is an amazing post! Inspired! Ah! how long ago and almost forgotten about the mix tape. I also must admit if I got a mix tape fully done with a title I would be more happy than receiving diamonds for valentine's day. Great post! There's something so satisfyingly physical about a mix tape that I don't think a "mix CD" quite duplicates...the length of tape serving as a visual form of time spent, rather than the digital drag-and-drop. On the other hand, I no longer own a tape player/recorder, so perhaps I'll have to stay with mix CDs for now. i love this post. i actually did read it on fashion court and i was thinking this is VERY similar but u wrote it so makes sense :) i love the analogy of a mix tape. perfect! i LOVE mix tapes! i wish more people still made them for one another. maybe this post will inspire more people to do it. Awesome post! Mixed tapes are so fun! i can't remember the last time i made a mixed tape. i used to have all my old ones but i trashed them. spent hours making them...they were before itunes and even napster. the radio was my souce of tunes back then. oh the memories. When we were boyfriend and girlfriend my husband used to give me a mix tape every 3 months or so. I have a full collection of them. And used to love them. Now I don´t know were to play them. Mix tapes has been substituted by CDs. Ahh! I have so many mixed tapes stored away. I remember waiting for a song to come on the radio, pressing record, then being so excited that I got another song on my tape. So many memories, so much fun. Love this post! Mix tapes are truly fantastic because they are so involving for both the listener and creator, and just strengthens the link between the two of them through the power of music. My boyf made me a mix CD of all of my fav songs from the last few months for Christmas - I love it!! So thoughtful! And not like him at all!!! Thanks for leaving a thought on my last post, great seeing you there! wow, great post ! love it. I agree, mix tapes are simply amazing!!! :) Love this post! I've absolutely loved this post! Hahaha we all used to do so many mix tapes, it was great fun. You have given me the best Valentine's gift idea as well. What a great idea -- music is definitely something that gets someone right in the heart! I think this is a fab idea! You've inspired me to make a mix CD for the hubby this weekend. Awww these pictures are so cute! Great post, happy vday to you too dear :) your posts are always really inspiring to me, love it. Oh you're way too sweet! thanks for your comment. Omg yes, I would be so much fun to go shopping together! Pretty sure I would love your style too, because you always wear such fabulous clothes on pictures :D. have a nice week! xoxo Laura. Woooohooooo! Lovely post! I absolutely agree! 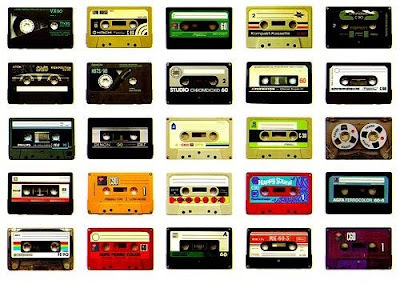 Loved this post and I'm a fan of mix tapes. They are the perfect sentimental and personal gift. The pics you chose are too cute too. Thanks so much for this post. While I'm only buying CDs now, I'm also a big fan of mix tapes. I think giving this as a gift instead of the more 'modern' CD can make one's gift a standout. It's a great gift idea, being unique and definitely a surprise to the receiver. Not to mention, music will always be an important ingredient in any Valentine occasion. This is such a truly wonderful post and every single word is true. A mix tape cuts to the core and is more romantic that any gift. LOVE!